In the latest Kills of the Week post, Agent Lord Kailethre made an impression with his solo kill of a Damage Control Unit-fitted (but not permit-fitted) Orca. As I said in the post, no wardecs, kill rights, can-flipping (to the extent that even still exists), or dueling mechanics were involved. Just good ol' fashioned solo PvP--in highsec of all places! Behold the power of the Code: An illegal Orca was transformed into a lifeless wreck, the fate of all enemies of the New Order. In a sense, our Agents do not "kill" the bot-aspirants; they simply bring out the inner truth that the carebear was already dead inside. Mobile Tractor Units (MTUs) were introduced in the Rubicon expansion. Their purpose is simple: They collect the contents of nearby wrecks and containers. Does that sound bot-aspirant in nature? You'd better believe it. Yet it's in the nature of the New Order that we turn the instruments of bot-aspirancy against the carebears. It's called karma. Highsec miners love to use drones to automatically kill NPC rats when they appear in the asteroid belts. Automated gameplay fits their view of how EVE should be: A risk-free, effort-free money counter that ticks upward without end. By default, drones are set to "aggressive", which means that if someone attacks you, your drones will counter-attack automatically. For miners, this means if NPC rats attack them, their drones will destroy the rats, even if the miner is AFK. But aggressive drones will also defend the owner's property--including MTUs. Unlike containers, MTUs are attackable by anyone, without CONCORD intervention. Which means you can attack an MTU and automatically be counter-attacked by a miner's aggressive drones. This gives you permission to engage the miner himself, without CONCORD's interference. In short, an illegal Orca with aggressive drones can easily be converted to its proper state. A new means of serving up fresh justice in highsec is born! The same principle applies to bot-aspirant mission-runners, as well. 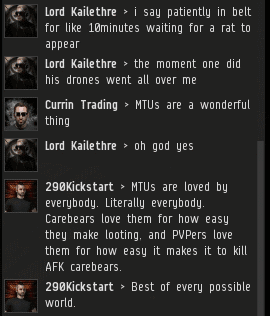 Agent Herr Wilkus, known for his mastery of the "boomerang" gank technique, has seen CCP take many actions to placate the carebear masses. He believes CCP is likely to eliminate the latest source of highsec fun. Agents are advised to make use of it well, while they still can. UPDATE: As of today's patch notes: "Drones that are set to aggressive will no longer perform automatic actions against a target if those actions would trigger a new Limited Engagement, unless explicitly instructed to engage that target." Herr Wilkus knows CCP only too well! According to today's patch notes, this has already been "fixed". Sadly more things were broken than fixed in this patch. 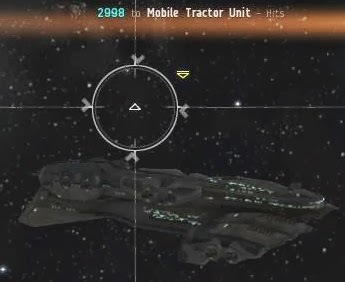 Rest In Peace drone aggression mechanics, truly we have lost a great friend this day. I'm just going to curl up on my bed and maybe have a cry. I really have to be more careful chatting in 'minerbumping'. I never know when James is watching. Oh wait - James 315 is ALWAYS watching. Time to riot and spill much carebear blood in protest at this change, methinks. 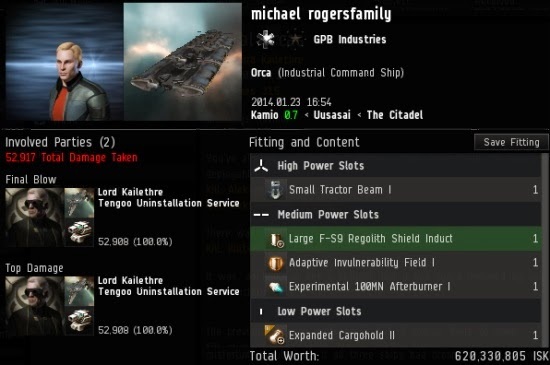 CCP fixed an exploit that you were using to gank people without CONCORD...boo f***ing hoo. They could have easily chosen instead to ban those using Mobile Tractor units in this manner. Its not like the New Order needs methods like that to kill miners. 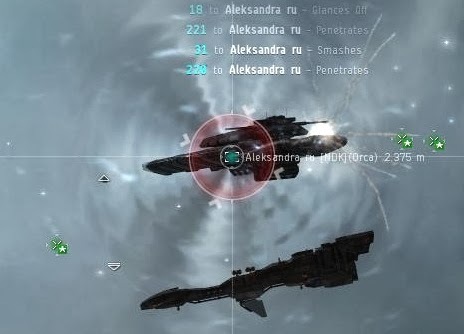 CCP has to protect the gameplay of the 3 month revolving door players. I guess what annoys me the most is that CCP brags about 'new toys in the sandbox', but what do we get? Useless for 'mission ninjas' due to failure to drag yellow wrecks. Edge case that gets a few carebears killed? Oh, thats a bug, ship reimbursements all around! Bears, escape that gank more easily, without wasting all that powergrid. GCC'd players need not apply, no doubt these deployables will 'magically' disabled for those with a criminal flag, while still functioning for others. -ESS, nope - not for highsec. The tears of rage from entitled carebears would probably sweep away half of the galaxy if others could somehow 'siphon' their bounties unless they were willing to PVP. To say nothing of a bounty nerf. LVL4's were already a joke. Now even trash-fit Bastion Marauders are ridiculous in them. Oh, and to top it off, here's a panic button against the occasional gank. Worst part about this - is the clearly missed opportunity. Instead of easy-mode ISK machine (we have plenty of those already) - why not a 'siege' module for Marauders, instead turning them into a highsec dread. Instead of buffing tracking, range and tank - massively buff damage and kill their tracking (making the module worthless vs NPC rats). Now the Marauder has a clear PVP role, their PVE effectiveness is unchanged. Highsec wardeccers have a tool to remove large POS more efficiently - if they are willing to risk the expensive things in combat. Win - Win, right? But no, in that case, the 'wrong sort' of EVE players win. Those dirty players that like wardeccing and killing other people's POS towers. No toys for them! Do the micro jump deployables still work under bastion ? I'm not against fixing unintended mechanics but all these small adjustments engineered to protect those too stupid or lazy to learn the game mechanics and use the tools available to adapt are, at the lack of a better word, disappointing and different than the interesting EVE I originally felt compelled to play. 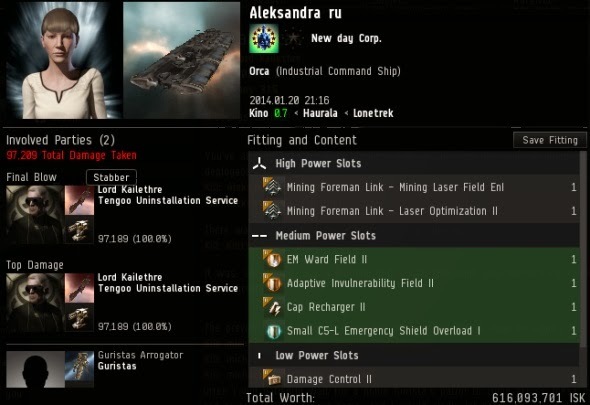 I almost became one of those bot aspirants lured by the promise of easy isk by afk mining had it not been for players like James 315 reminding me EVE is a player-driven environment. Once time permits, I may apply to become an agent and do what should've been CCP's job of cleansing EVE of these parasites that add nothing of importance to the sandbox. A bastion module for catalysts would be nice. In siege mode, dps would be tripled and the ship would become immune to drones and electronic warfare. Siege mode would only last for 30 seconds with a 30 second period immediately after where the ship could not fire, so there would be balance all around. And its sensor dish transforms into an adorable little rotating death ray! agreed ESS should be allowed everywhere! The other changes of game mechanics are 100% ok.
Dont forget: EVE is lot more than ganking. See Real Life all these people working like bots theyre doing everyday the same for years till retirement. Eve is made by people living in RL so Eve is in some way a copy of todays life. Also EVE is based on the C64 game called ELITE (1984) PVP or if you wanna call it so ganking is only one very very small part of whole EVE. So what are you complain? What benefits did you bring to EVE sandbox except ganking? What do you mean, "Roleplay: NO"? That's pretty much the entirety of this blog. I don't think you quite understand what makes up the New Order. Most members of the New Order are from just about every career path and corner in Eve; all walks of life, sort of speak. The New Order has Miners, Industrialists, Traders, Gankers, Pirates, Haulers, Researchers, Scouts, Command Boosters (since you added boost into the equation), and so on; although I admit I haven't heard of anyone from NO manufacturing drugs, nor using them mid-gank op, however, I would not be surprised if someone from NO does and that would be awesome. It's a common mistake to think that the New Order is *just* a bunch of gankers and pirates. Not to mention the benefactors who help the New Order and everything they do to make their isk. I don't want to name names, but there is an NO guy who manufactures drugs. 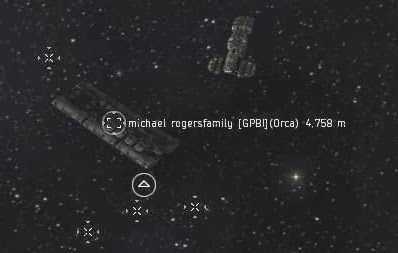 And I one time used a Quafe booster to OP my pod lock times so I could make a certain pod whore we all know rage during an Orca gank op. It was the best 6mil I've ever spent in this game. Though the wise Capt Starfox speaks the truth, I'm the only Knight I know of who has no other profession. I'm definitely the exception, not the rule. I look at the left side of this website, at all the chronicled content, at all the emergent social engineering, the great enthralling, jubilant, enraging, heart-pounding, fist-pounding, heart swelling, soul-crushing, friendship building, nemesis forging experiences of gankers and carebears alike, that would have never been was it not for one man and his stabber, and can only giggle at the notion that we add nothing to EVE Online. I seem to recall that games like Elite have combat, and are incredibly boring without combat and the risk of combat. 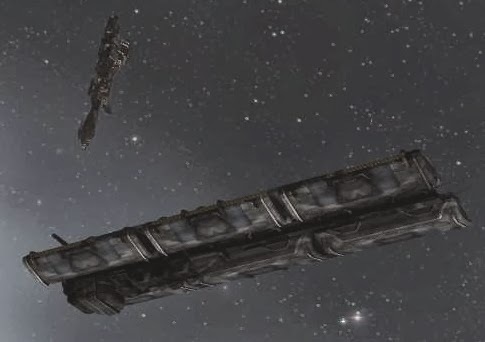 Or did it have a cheat code where you petition CCP and get all the mean combat ships to disappear? Is that how you play Elite? I'm Lord Kailethre, you might know me from such minerbumping smash hits as this post you already read! On a serious note, while I enjoy breaking things and gathering tears as many NO Agents do, my line of work is in solo ops in low class wormholes. This is where I make my money and I have a fun time doing it. Many other agents do similar work to me, many do work that I do not or even professions I might frown upon. You look at the NO and realise it does a lot of ganking, but you erroneously assume that is all that they do. So do not judge a book by its cover, no matter how wonderful a cover it may be. Confirming that I build tech 2 ships, market trade, and gank miners on the side. Mission Running: very small - yeah, our "mission" is ridding eve of a different kind of rat! Mining (including gas/ice): NO (or very small number as some scouts are doing) - yeah, most of us dont mine....considering its the LEAST EFFICIENT ISK/HR career in the game. Wormholes and exploring go fairly hand in hand, so that can be changed to a yes as well. I run missions, as it's the best sec status increase per hour available without burning lots of ISK on tags, and I gank on a non-criminal character. So yes, we do those too. We do Wormholes. I present to you an AFK Minmatar Tower thinking it was safe inside a concealed Wormhole. We brought it to justice! Could have been worse, anon 9:37. CCP could have labelled it a exploit and banhammered you. If you want to see whether your kids really attend school or they ditch it, have a look here. People spend majority of time either talking on their latest phones or listening to music or playing games. 3 mobile phone offers a perfect mean of communication and has become an inevitable part of our life. Having a mobile without any deal is of no use.